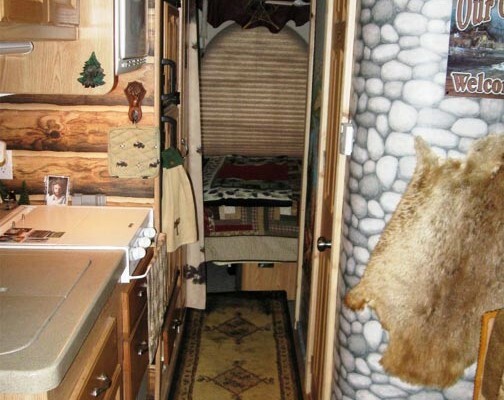 DIY’er Completes Dozens Of RV Renovations On His 2000 Lance 810 Truck Camper. This man made a bunch of DIY mods to his 2000 Lance 810 truck camper. See a few of the most creative here. NetBoy is an avid truck camper who likes to share the mods and upgrades he made to his Lance 810. 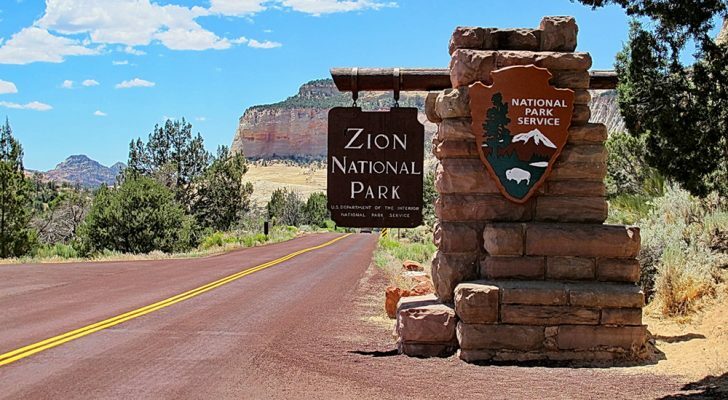 Numerous other pages on the Internet provide great journals of peoples’ travels in their campers, so rather than do that I decided to put together this page documenting various modifications I have made to my truck and camper which make it more useable to me. We’re sure glad he did! 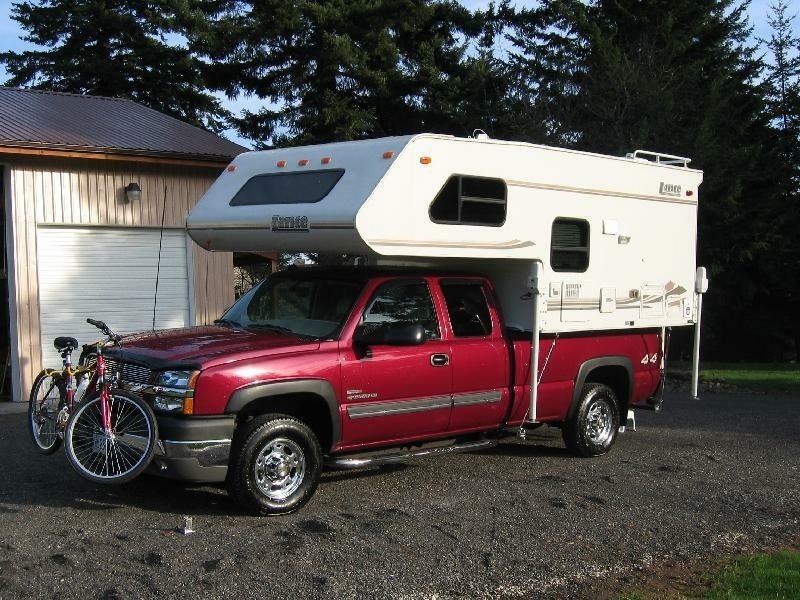 NetBoy’s 2000 Lance 810 truck camper on a 2004 Chevy Silverado LT.
For those of you who admire a person who doesn’t shy away from any project, you’re going to love these mods. Here’s a few of our favorite. 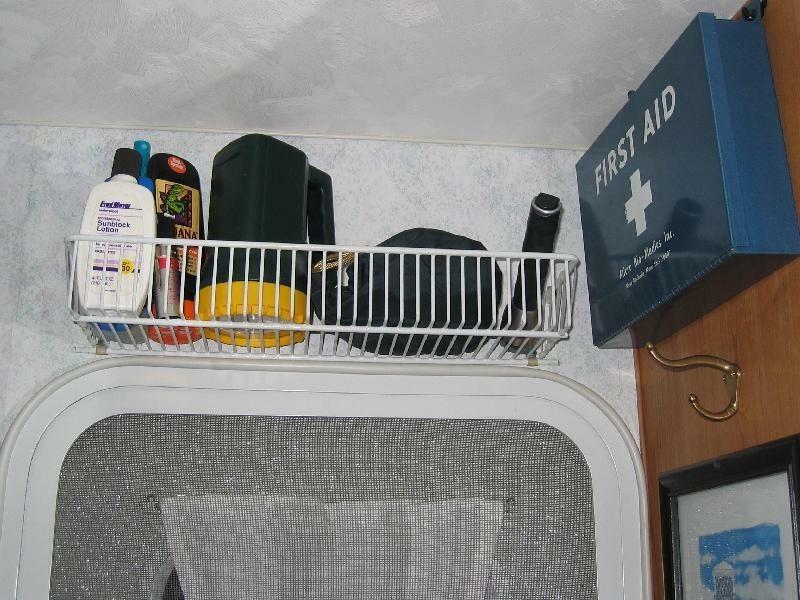 He added a storage rack over the door for items he often needed when leaving the trailer. The rack is attached to the wall with 1/4″ plastic cable clamps. Since the shower lacked racks or hooks of any kind, he fastened small marine-grade ‘pad eyes’ to the smooth shower walls. With the hooks in place, he used bungee cords to secure his golf bag, rolled up American flag, and other larger items. 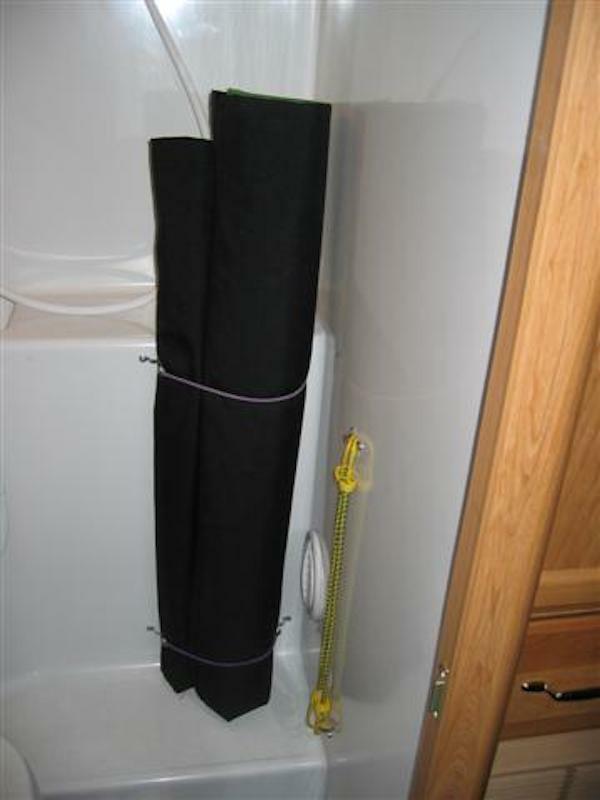 In the photo are two plastic nylon bags he uses to store wet stuff. If it drips, no problem – it’s in the shower after all! 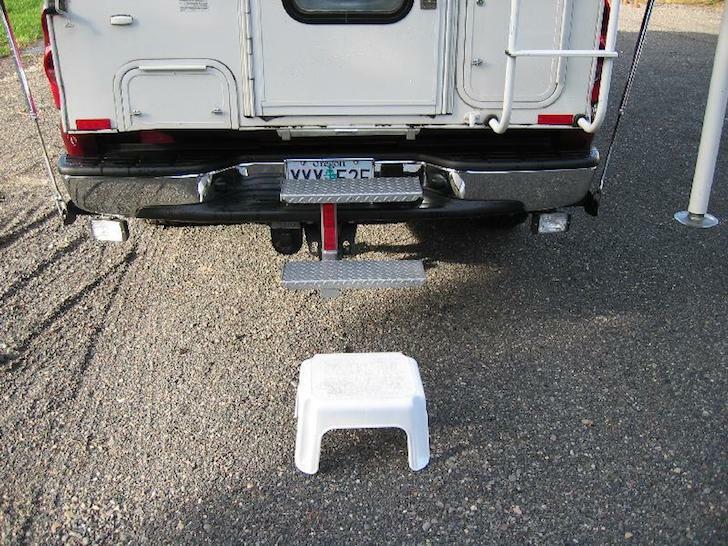 His Lance camper had no rear steps, so he made some that fit into the receiver hitch. He leaves them in place while driving because they don’t stick out far. 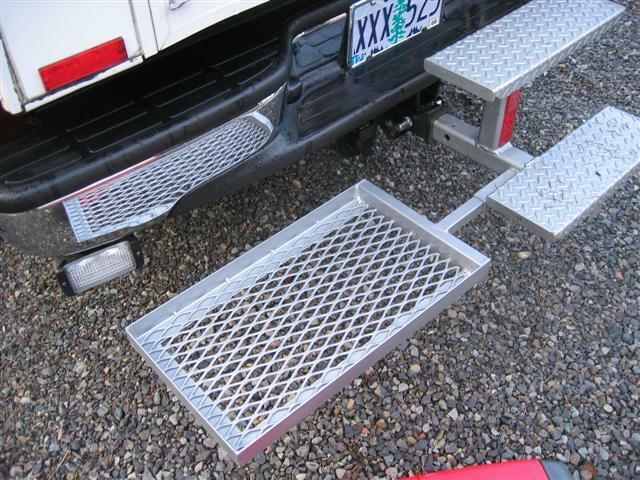 He got the treads from an old set of scissor steps and made a custom set screw by welding a nut to the hitch receiver tube. 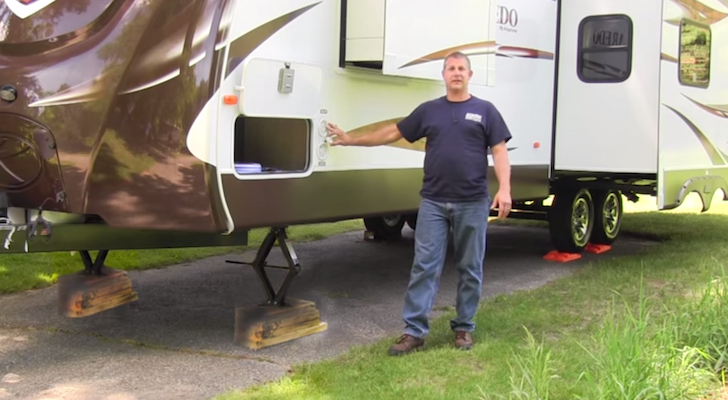 A 1/2″ bolt keeps the steps from moving when you walk on them. To keep the steps from wiggling when you step on them, I made a “set screw” out of a 1/2″ bolt, which is screwed into a nut welded to the hitch receiver tube. The nut is welded over a 9/16″ hole I drilled on one side of the receiver tube, and does not interfere with the normal pin used to secure a stinger when towing. 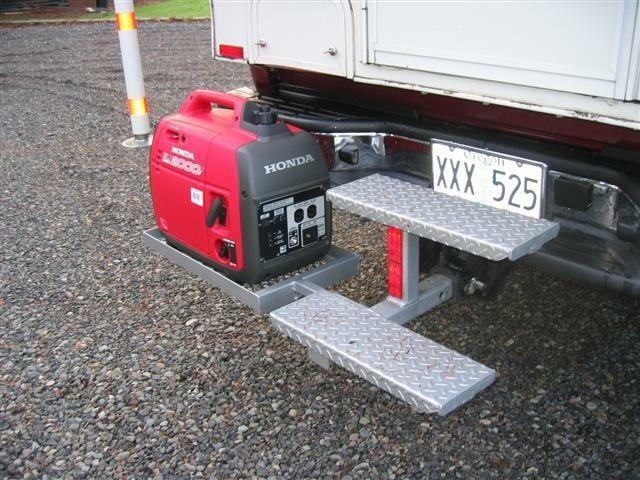 Another platform sticks out from the steps to hold his Honda generator while camping. He keeps the generator secure by using a bicycle lock wrapped around the hitch. The platform and generator go inside for travel. The platform can be taken off for travel. He also added a ladder-mounted table to the back of the Lance. It’s just a 1/2″ sheet of finished plywood with a slot cut into one side to fit around the ladder rungs. 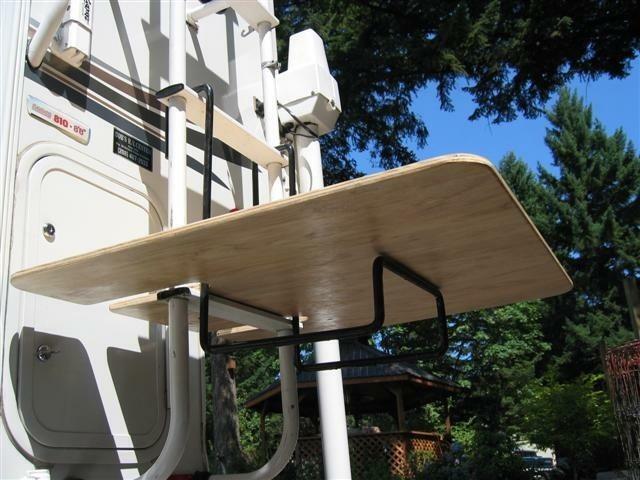 A lawn chair carrier supports the sheet of plywood, creating a handy ladder-mounted table. Add extra camper interior storage. Create new cabinet in wasted space. 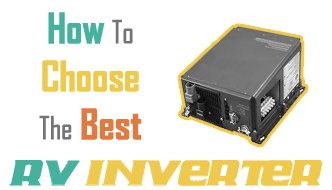 Install Stereo System with Subwoofer. Add a nice analog wall clock. Add a widescreen LCD TV/DVD combo. 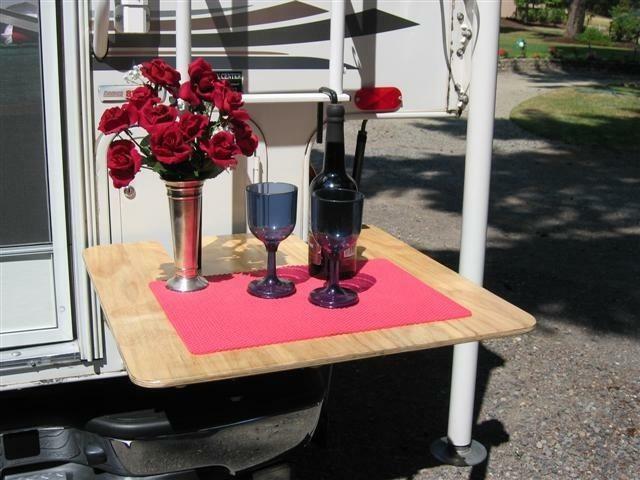 Modify Dinette Bed to improve camper egress and bathroom access. 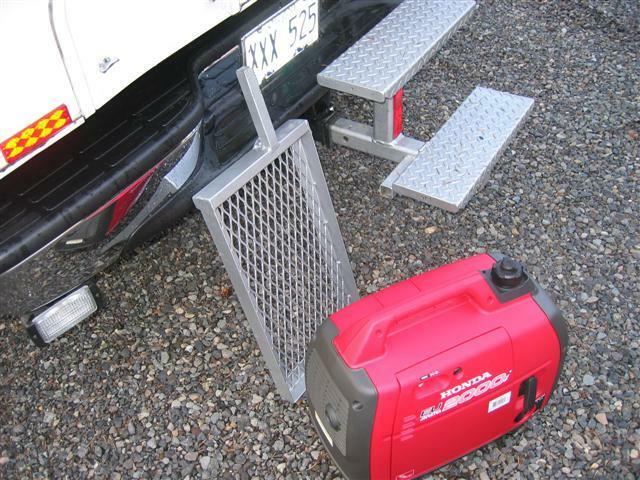 Build Platform for Honda EU2000i Generator. Cool new toy — a super compact step ladder. Replace Magnetek with Inteli-Power converter. 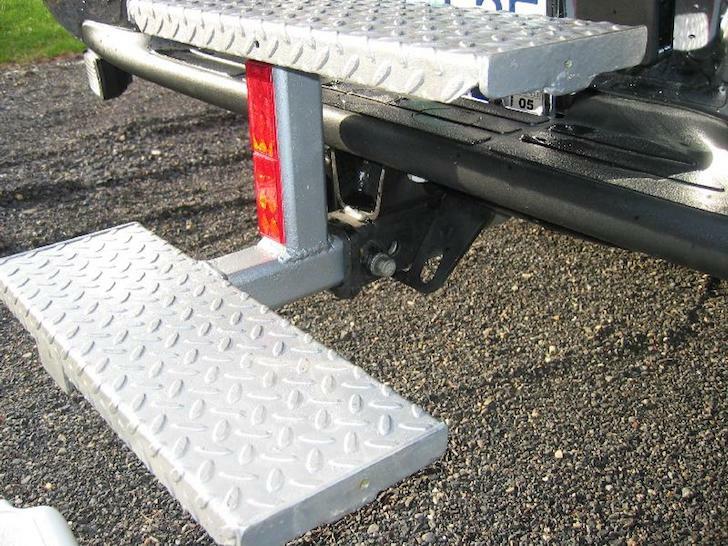 Extend camper roof gutters forward of truck cab. Repair damaged camper jack mounting. Install a water tank inspection port. Install Accumulator Tank in water system. Replace Incandescent Light Bulbs with LED Bulbs. Miscellaneous: Assist Strap, Outside Bottle Opener. Relocate XM satellite radio antenna. You can see the entire Netboy catalog of modifications by visiting his website here. Well that’s a hard question to answer with out seeing it. But I look at RV’s as if they are boats and I work on them in that fashion as well. If it was covered or not look for any leaks first. Wood rot is number one. Check your wiring for cracks as well and rodents they LOVE wiring like candy. When RV’s first started being built they were done with care and then some time in the early 80’s they started being thrown together fast to make money period(DEpending on the maker). Only recently has that changed and you still have to know what to look for. How old is it? We have a travel trailer as well and after going through it all I want to do is tear it apart and start over. We bought it used and it’s a 2004 thrown together fast Wildwood by Rockwood. 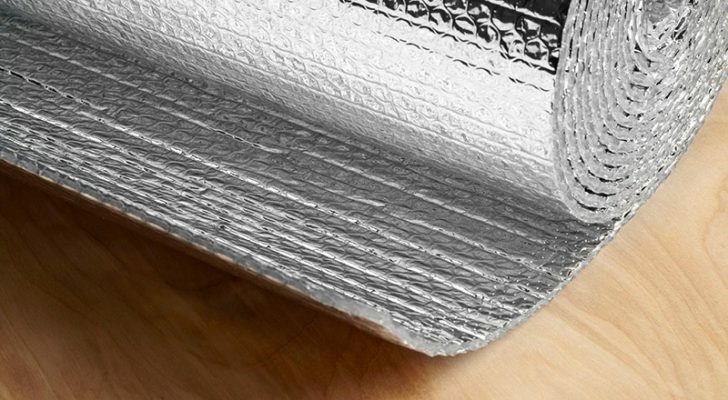 Make sure that back of your fridge is clean and that the roof vent for it is clear as well, you can add a small fan to blow cool air and they make a kit for that. 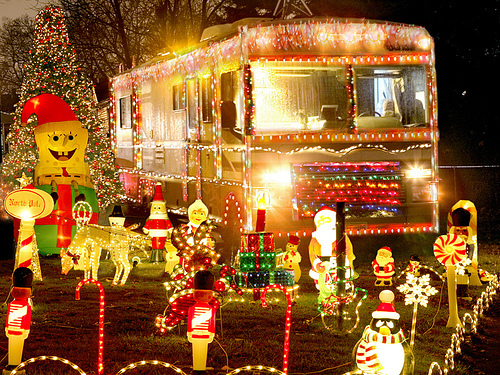 Do an internet search for RV mods there is another awesome site that is nothing but RV mods. One other is the batteries, it is getting harder to find a true deep cycle battery, they are getting cheaper built and more expensive. Imagine that! But the lead plates are thinner in the cheapy auto parts stores your best bet is a marine shop. Interstate battery has never let me down. Sears Die Hard used to be one of the best in my book but I have had a new one. Hope I helped a little anyway a person could write a book and probably has. When I redo our truck camper I will be handling it just like a boat and I will be using Glen-L’s epoxy shield awesome stuff. 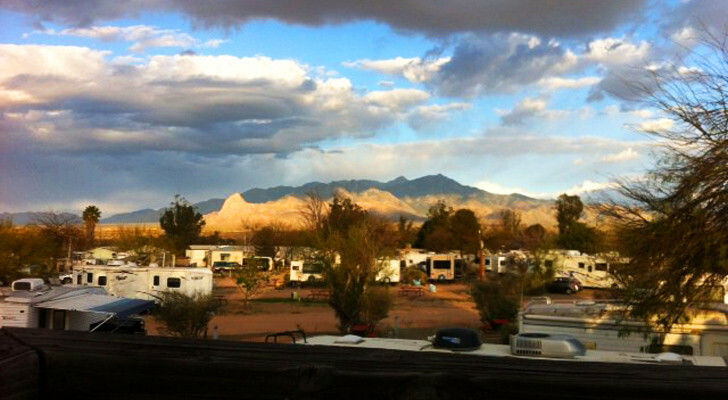 I have an RV stored in my outdoor storage space at Brampton(Migson Public Storage) . But it’s kind of old and partially worn out. I was thinking of mending it myself. Any useful advices or links on it will be most welcome. BTW the informations on NATCOA was quite informative ! Thanks for NATCOA heads up! Informative one . Doran, Thanks for the heads up on NATCOA. Not a member yet, but will check it out. This is awesome great write up, when is the last time you updated your page? If your not already a member and I have yet to see if you are or not but check out NATCOA, dot com. National Truck Camper Owners Association. Lots of guys and gals doing what your doing BUT mainly just TC’s. I was getting ready to do some of the same mods on our TC but now since the Napa Quake I’m having to do a complete rebuild. Now this is weird but while visiting my mom in Napa on her B-day we were staying in our TC in there drive way when it hit. It was still on the truck which is an 2003 Chevy Silverado LB7 D-Max. The camper is a well no polite way of saying it a P.O.S. Fleetwood Angler but it was cheap and light weight about 1700 dry weight, and well constructed by a subcontractor NOT Fleetwood and there 50th Anniversary model ya think they would have done this one themselves, ANYWAY when the quake hit it was like a sling shot, I just happened to be awake at my usual time around 2:30am, long story short I didn’t notice the damage until we got home or it didn’t show until the drive back. A wave in one wall on the outside and the cabinets coming away from the walls. The camper was basically twisted like opening a twist off bottle cap. So I am going to gut it and see what’s what. I’m looking at this as an opportunity to build our own. The pickup will be a flatbed and the camper will be made to fit that type of bed. My dream machine truck camper is a cross between an Earth Roamer and the GXV 2011 Turtle and no we are not millionaires so I gotta do it myself. It’s like putting it on lay away right! But Check out natcoa membership is $15.00 a year?? I think I’m killian44 there…………Have Fun.